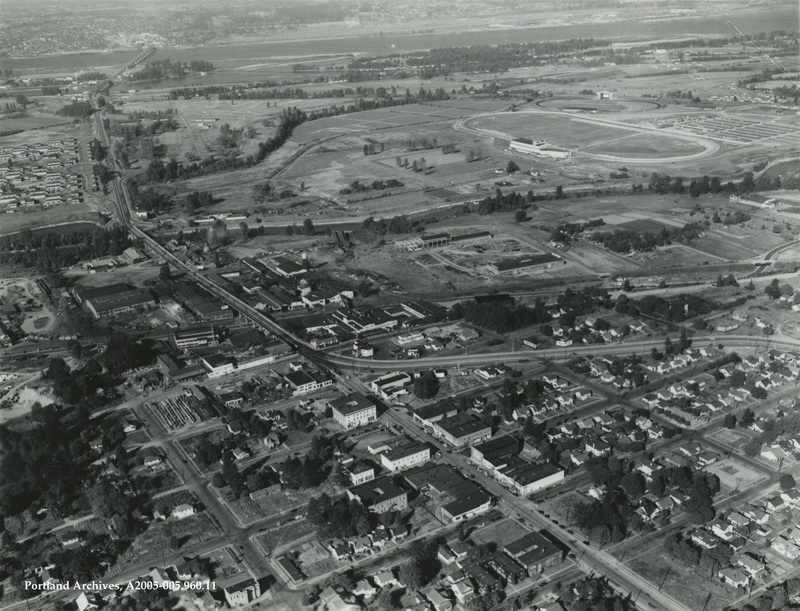 Can anyone tell us where this aerial was taken? 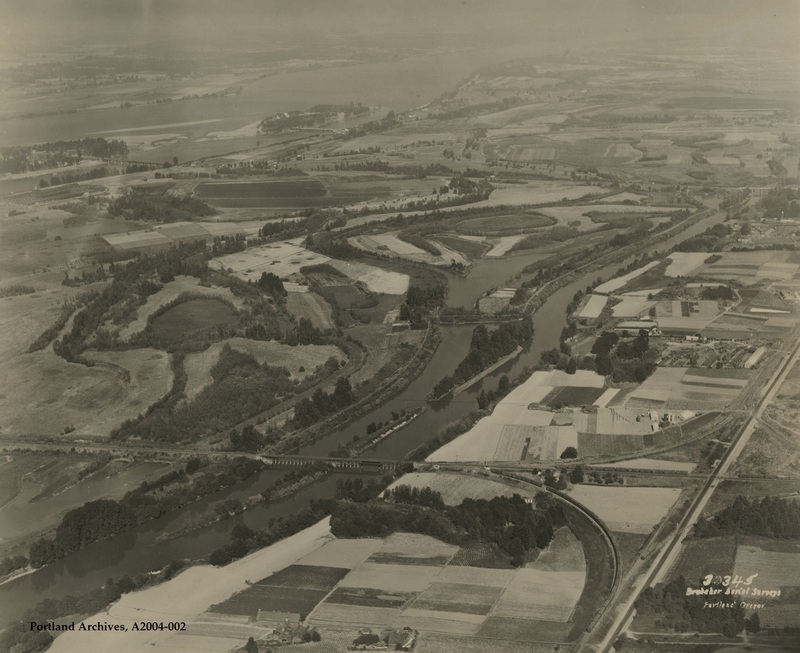 City of Portland (OR) Archives, Aerial, A2004-002. 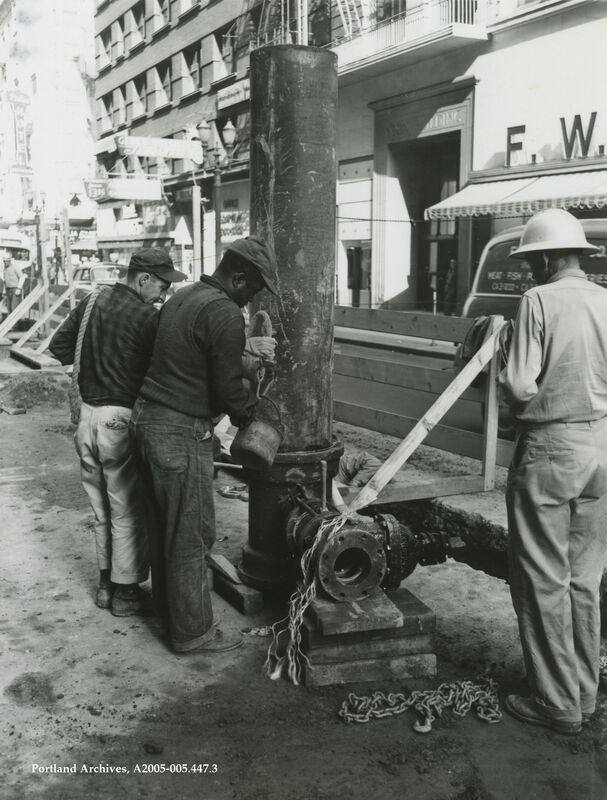 Sewer work at SW 5th Avenue and SW Alder Street, 1955. City of Portland (OR) Archives, A2005-005.447.3. 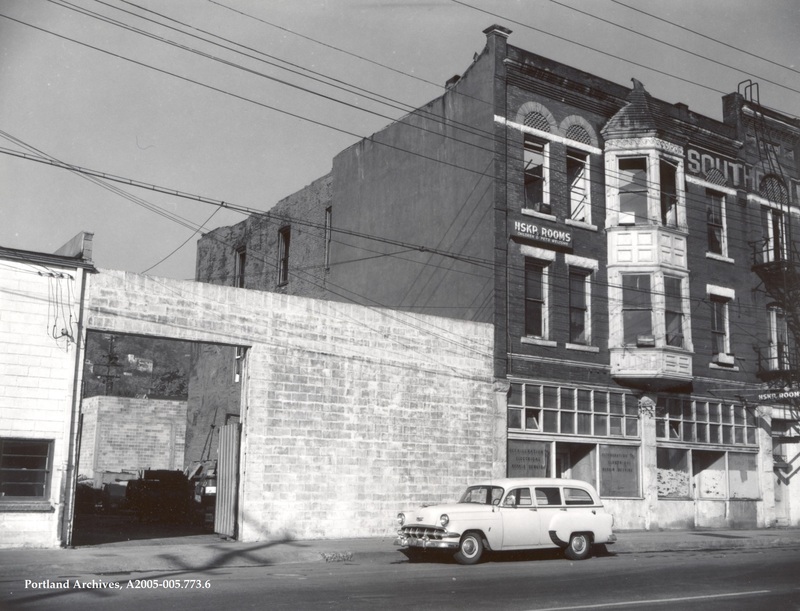 SW 1st Avenue near SW Arthur Street, 1959. City of Portland (OR) Archives, A2005-005.773.6. 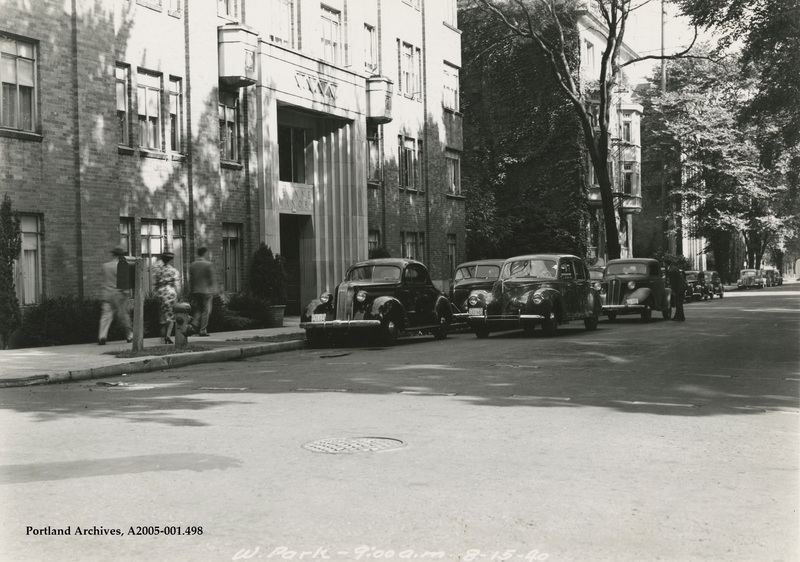 SW Park Avenue looking north from Clay Street, 1940. City of Portland (OR) Archives, A2005-001.498. 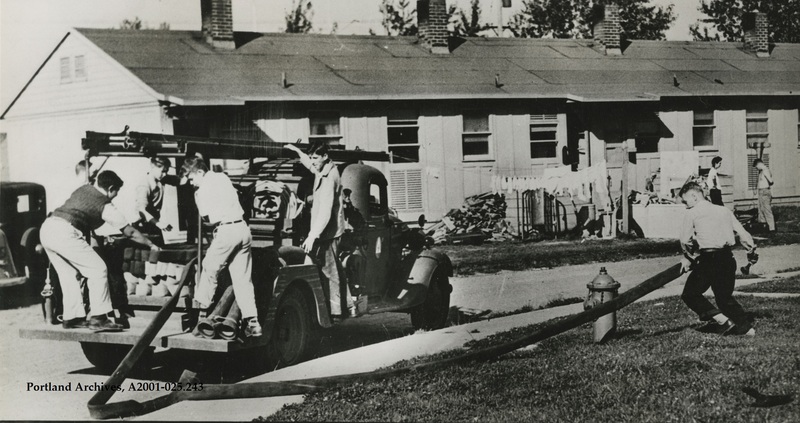 Boys from the Guilds Lake Junior Fire Squad making a “lay-in” from a hydrant, 1944. 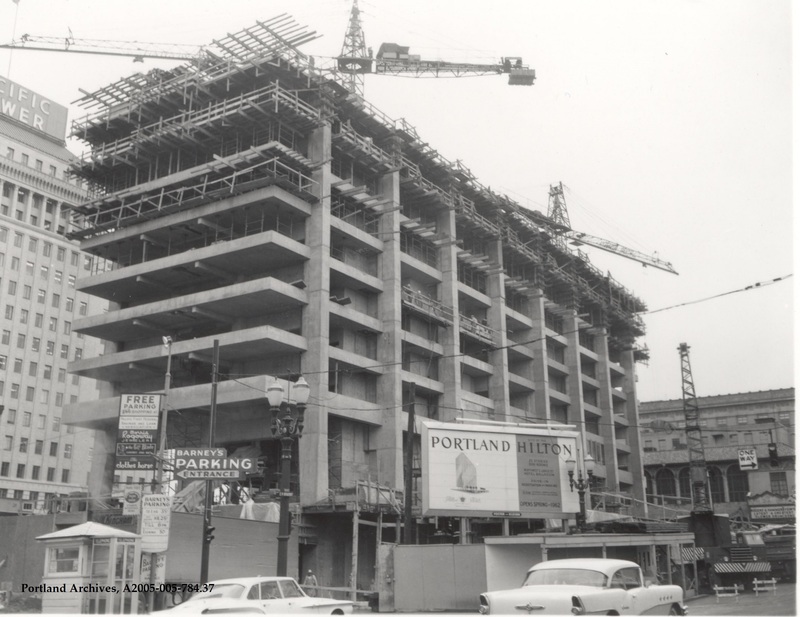 City of Portland (OR) Archives, A2001-025.243.